Three years ago, I came out of a short-lived retirement to help out neighbours. These neighbours, however, weren’t hoping to borrow a lawnmower or move some furniture — they were looking to buy a manufacturing plant. As it turns out, retirement wasn’t all it was cracked up to be anyway. I had just left Dumur Industries, a metal fabricator-turned-military manufacturer I founded 30 years prior, and I was having a tough time sitting on the sidelines. The opportunity to get back in the game was one I couldn’t pass up. Plus, I admired what they were trying to accomplish. The ‘neighbour’ was Pasqua First Nation — a Saulteaux-Cree First Nation, located roughly 40 minutes east of Regina, along the banks of Pasqua Lake, where I reside. While the addition of manufacturing in the band’s investment portfolio was a strategic move to diversify away from its traditional holdings and complement its position in the resource development supply chain, it was also a platform to create employment pathways for their people. Within months of our initial discussions, we had acquired Pro Metal Industries — a custom fab shop in the north end of Regina. It had all the fundamentals of a good business, yet a lot of unrealized potential. I had been exposed to hundreds to near-identical companies in my career, and it seemed a few minor tweaks around the edges would do the trick. I quickly realized that assumption was dead wrong — not because of our evaluation of the business, but because of how we were defining success. Generating new revenue and growing margins was the easy part. The problem was that those targets in the existing business model were not automatically symbiotic with the other core priority of creating First Nation jobs. Metal fabrication is a highly skilled industry, requiring years of training, hands-on practice, and institutionalized knowledge. Simply dropping new individuals into those types of positions wasn’t practical. Instead, we needed to create an environment where the barriers to entry were low, where we could identify what our new employees had a passion and natural affinity for, and where we could still afford to keep the lights on. We found that right fit in the assembly of farm equipment. Pro Metal’s ‘next-door neighbour’ to the south, Degelman Industries, was searching for a partner on the manufacture of its rotary cutters. That gave us a staple product and a continuous production line, which allowed us to create standardized, repeatable processes, and better manage a quickly changing workforce. The experiment proved to be a win-win-win. Degelman freed up capacity for its primary business lines, Pro Metal had a new seven-figure revenue stream, and Pasqua First Nation had ownership in a business with a demonstrated commitment to and track record in employing Indigenous Peoples. In roughly 18 months, our crew doubled in size, and Pro Metal went from having zero First Nations workers on staff to a company-wide representation of roughly 50 per cent. That, though, only solved a handful of our issues. The thing about manufacturing is that it is a sector embroiled in incessant change. Just when you have your operations figured out and running smoothly, there will be new a competitor that enters the picture, a new technology that disrupts your market position, or a new financial pressure that forces you to rethink your calculus. Often, all three come barrelling down at you at once. Other times, they are more incremental, quietly manifesting in the background until it’s too late to pivot. For us, we recognized early on that, like Pasqua, we needed to diversify. Particularly in a soft economy, where manufacturers are scrambling to fill their order books, custom fabrication is a tough gig to make much money in. We didn’t want to abandon it — that was central to who we were as a company — but we did want to hedge our bets. That meant moving further up the value chain. So, we turned to what I personally knew best — military work. Fortunately, I had a few advantages to lean back on, such as recognized status in the federal Controlled Goods Program — not to mention a rolodex with two decades’ worth of contacts in the sector. Within eight months (which is unheard of in the defence world), we had our first contract as a tier two supplier to General Dynamics and were soon making parts for Mack Defence. To my knowledge, we remain the only 100 per cent Indigenous-owned manufacturer to supply to Canada’s military. The endeavour served as a proof-of-concept for the opportunity that existed in the defence procurement space — especially for innovative First Nations looking to capitalize on trends in corporate social responsibility and Indigenous inclusion. Which brings us to this fall. This November, Pasqua First Nation took the next step in that journey, acquiring a majority stake in NP Aerospace from global giant Morgan Defence Systems. 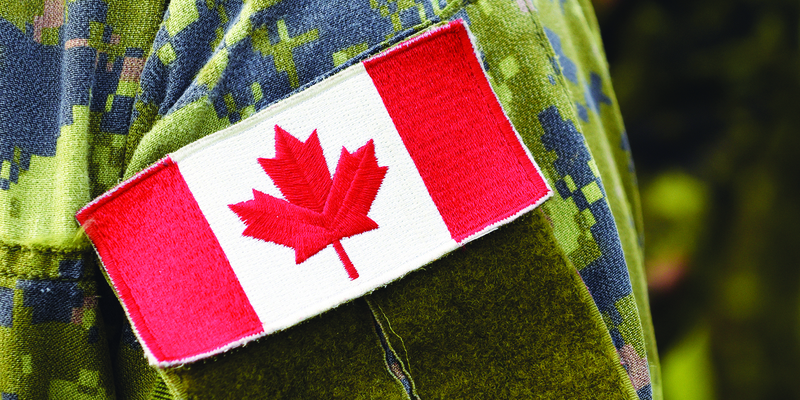 NP Aerospace currently has facilities in Burlington, Ontario, and Coventry, U.K., and is a leading manufacturer of composite materials (such as carbon fibre components), including Canadian military helmets, body and vehicle armour, and bomb disposal suits. Some of that production work will flow to Saskatchewan in the coming months. It really is a Western Canadian success story to be proud of. I think it provides an interesting case study for overcoming the plight of the modern manufacturer as well. We talk a lot in this industry about adaptation and the need to be nimble, although it is generally in the context of process improvement. Don’t get me wrong: That is imperative, and is something we have spent countless hours — and many dollars — on. True agility, however, may mean thinking bigger. It may mean changing your business focus altogether several times throughout the course of a planning cycle. And that requires a ‘neighbourly trust’ throughout every level of your organization. Bob Dumur oversees the manufacturing portfolio for Pasqua First Nation. He is also the founder and former CEO of Dumur Industries.